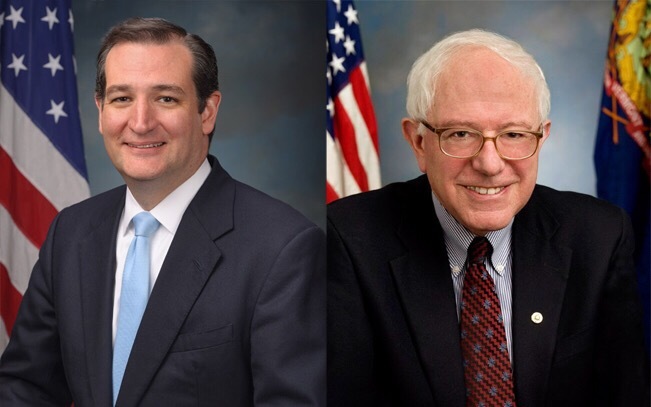 On Tuesday, the race for the White House came to the birthplace of the Republican Party as Senators Bernie Sanders (D-VT) and Ted Cruz (R-TX) won their respective parties’ primary in Wisconsin. Cruz won with 52% of the vote while Sanders won with 54% of the vote, as of press time.Wisconsin is not a winner-take-all state for the Republicans, but Cruz will get at least eighteen of the forty-two delegates at stake in Wisconsin. The other twenty-four delegates will be allocated based off the winners in congressional districts. Cruz is expected to pick up more delegates this way as well. Each congressional district has three delegates and those delegates will go to the winner of the congressional district. For Democrats, eighty-six delegates were at stake. All primaries for the Democrats award delegates proportionally, so former Secretary of State Hillary Clinton will walk away with some delegates. For Republicans, Wisconsin is a victory for the anti-Trump forces in the party. Wisconsin presented one of the best opportunities for the opponents of the frontrunner as voters in the state tend to be against negative campaigning. Trump also helped efforts against himself over the past few weeks as he stumbled on questions about abortion and the fall-out over his retweeting of an unflattering photo of Cruz’s wife, Heidi, continued. The anti-Trump effort was also backed by Governor Scott Walker (R-WI) who remains popular with Republican voters around the country and in his home state. Walker endorsed Cruz and campaigned for him. When Walker dropped out of the presidential race, he did so largely in an attempt to consolidate support against Trump. Trump turned his attention to his former competitor and repeatedly attacked Walker on the campaign stump. For Democrats, this race continues the momentum for Sanders who has won six of the last seven contests. The race now turns to New York, the home state of both Clinton and Sanders. Sanders is currently down by twelve points, but supporters point out that he was down even further in Wisconsin. Both frontrunners expected defeat and their public schedule reflected that. Neither Trump nor Clinton had public rallies on Tuesday.